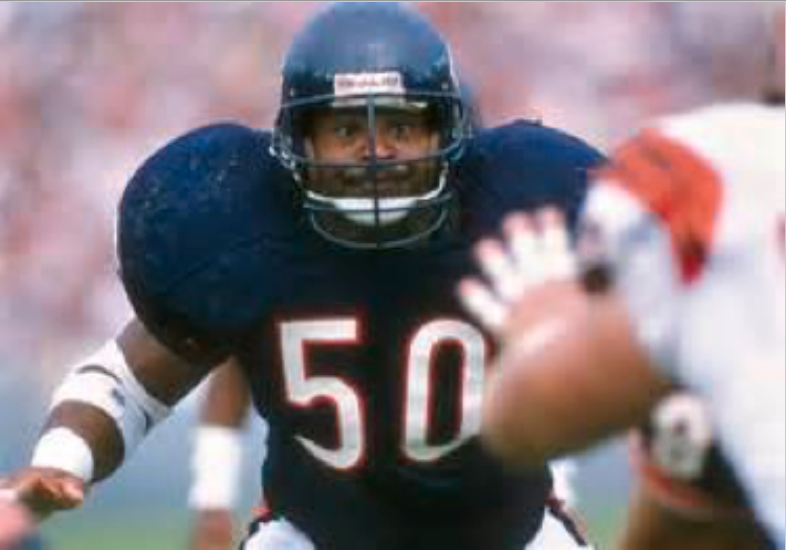 Legendary Chicago Bears linebacker Mike Singletary... look at his eyes. If the last 5 years have taught me anything, it is that how we say what we say about the Bible and Jesus is very important... and very delicate. Note that I did not say that the Gospel or the Bible are delicate. No, I said how we come across as we attempt to communicate these timeless truths in an era of increasing lawlessness is of major concern. I am remembering a guy from the seminary I attended who was formerly a linebacker on his college football team. He was extremely 'ripped' as the saying goes. He probably had a body fat index that would rival Olympic athletes. He also had an intensity about him that often came across as a menacing countenance. I knew him and I was intimidated by him sometimes. A Christian music artist (who was attending the seminary at the time) planned an outdoor concert in Los Angeles... right in the heart of Watts. We were at Will Rogers Park, right at the epicenter of the terribly destructive riots that had taken place just a few years prior. Donn Thomas, an African American musician, had invited a number of us to go along and minister to those who would respond to his altar call. My linebacker friend, let's call him 'Bill' joined us as Donn began to play "Can't Nobody Do me like Jesus... He's my friend" and "Ain't no Rock Gonna Shout in my place... Long as I'm as I'm Alive to Glorify His Holy Name..."
Donn ministered powerfully and he gave an altar call. Bill and I and the others began to pray with those we hoped to lead to the Lord. Bill (I forgot to mention that he also spoke in a very loud voice) was ministering to a young boy about 13. I watched as Bill got closer and began to speak louder. The boy began to back up and Bill continued to advance. Finally the boy ran away. Bill chased him to the edge of the park and with one last attempt he yelled at the top of his voice "Hey!! Jesus Loves You!" Discernment type ministries are needed as never before. The very notion of objective, absolute truth is under continual assault, and the culture around us is careening down the "Great Down Grade" Charles Spurgeon warned us about. We need as never before to "contend for the faith once for all delivered to the saints" (Jude verse 3). A friend did me a great favor a while back. 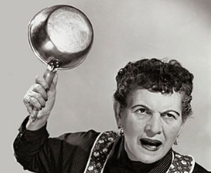 She read one of my posts and reflected back to me that my tone was a little harsh. (She was kind.) In point of fact, as I reread what I had written, I would describe it as shrill and confrontational. How, I have been asking myself for months, can I communicate the passion I have about what I truly believe is necessary for the church to hear, yet not succumb to fleshly enthusiasm that is off-putting? The King James version of the Bible uses the word contend in Jude 3 to describe the assignment we as believers have to hold true to the scriptures. The Bible also, however, uses the words contention and contentious to describe less than godly approaches that some well-meaning apologists are accustomed to exhibit. "Now I urge you brethren note those who cause divisions and offenses, contrary to the doctrine which you learned and avoid them." The Greek word translated divisions comes from two root words meaning literally 'two stances' (hence the idea of division of something that was intended to be 'one'). The word offences describes a young sapling, bent for use of becoming a 'trap stick in a snare' (see Strong's Concordance Greek dictionary #4624 and 4625). I'm not stretching the meaning to say that this word suggests "tripping someone up" by means of a snare. Remember Paul is saying 'Avoid them' (the ones coming and causing divisions and offences). What then is the meaning of Jude 3 in which Jude is pleading with his readers to "contend for the faith once for all delivered to the saints"? Again, the original language yields a rich meaning that changes everything. The word Jude used is a derivative of a word from which we get our word "agonize" It can mean to "struggle for" to "earnestly contend for." Here is what I gleaned from this brief study. To contend for the faith once for all delivered to the saints is arduous, and frankly agonizing at times. What I/we need to guard against, however, is the tendency to adopt an attitude of combativeness with others in order to arrive at the truth. I don't want to be a brawler. I don't want to be 'that guy.' I don't intend to ever back down, but I can pray, even agonize in prayer... that I contend for something rather than against someone. For a short book on this topic read Anton Bosch's Contentiously Contending. Be Still and Know That You are Not God!